On Saturday, May 7th, the John Reynolds party boarded Milky Way Fishing Charters. What made this day extra special, was the fact that 5 out of 6 fishermen were Fort Drum Soldiers. They armed themselves with fishing poles and showed us that not only they serve our country well, but they know how to fish also! 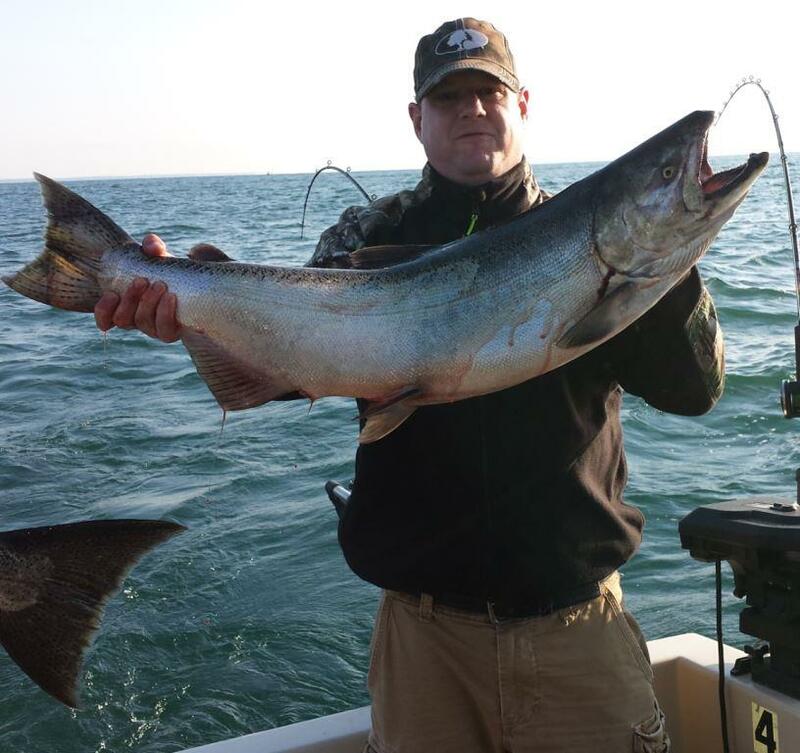 It was a busy day of fishing for all of the crew as they caught their limit of the Lake Ontario Lake Trout! It turned out to be a successful day on the lake, not only weather-wise, but it was a fun and enjoyable fishing excursion for everyone involved. Milky Way Fishing Charters not only wants to thank these fine young men for fishing with us but a big THANK YOU for serving our country as well.